In writing Putin’s Kleptocracy: Who Owns Russia?, Karen Dawisha provides a wake-up call for those who have failed to recognize Putin’s Russia for what it has become. She concludes Russia is a deeply corrupt country led by a “thieving regime,” veiling its actions with the half-truth of attempting to restore Russia to greatness. She supports her view with a very detailed, weighty analysis. Many have tried to peer into the life Russian Federation President Vladimir Putin to gain insight into his actions. Much of the new information that emerges is more often gossip and speculation. For example, recently there were reports of a study done by a lead researcher at the US Naval War College in 2008 that concluded Putin had Asperger’s Syndrome, basing on an analysis that linked his movements on videos to his state of mind. After avoiding the spotlight for ten days, Putin appeared on television, laughing off rumors that suggested he had health problems, he had been subject to a coup, and that his 31-year-old girlfriend had given birth in Switzerland. In June 2001, President George W. Bush stated about Putin: “I looked the man in the eye. I found him to be very straight forward and trustworthy and we had a very good dialogue.” Yet, despite such publicly reported misunderstandings and even academic analyses that viewed Putin as forging democracy in Russia, occasionally studies are produced that offer real insight and new information on the Russian president. Putin’s Kleptocracy is the latter. In her book, Putin’s Kleptocracy: Who Owns Russia? (Simon & Schuster, 2014), Karen Dawisha discusses how Putin, who has wielded national power in Russia since 2000, has been conscientious about his work, not only in governance but in amassing fortunes for himself and his circle. In writing Putin’s Kleptocracy, Dawisha ostensibly provides a wake-up call for those who have failed to recognize Putin’s Russia for what it has become. She concludes Russia is a deeply corrupt country led by a thieving regime, veiling its actions with the half-truth of attempting to restore Russia to greatness. She supports her view with a very detailed, weighty analysis. Dawisha is the Walter B. Havinghurst Professor of Political Science at the Department of Political Science at Miami University in Oxford, Ohio and the director of the Havinghurst Center for Russian and Post Soviet Studies. She was an adviser to the British House of Commons Foreign Affairs Committee and as an International Affairs Fellow at the Council on Foreign Relations, she was a member of the Policy Planning Staff and the Bureau of Political Military Affairs at the US State Department. Dawisha also served as a Professor in the Department of Government and Politics at the University of Maryland and had served as the Director of its Center for the Study of Post-Communist Societies. From 1979 to the present, she has written five previous books, written numerous journal articles, and edited eight volumes on Russian, Post-Soviet, and Soviet politics. Dawisha tells the reader about a sullied and corrupted Russia that is in agony and suffering. It is a Russia that is rotting politically, economically, morally. However, while her discussion of the spoliation of Russia is trenchant, it is also quite riveting. Reaching as far as she could with the sources available, Dawisha, with great detail, painstakingly enumerates the lies, deceptions, and activities of Putin and his associates as they amassed huge fortunes cleaning out the coffers of the Russian government and strong-arming oligarchs (a few ultra-wealthy business leaders) for “donations.” Readers will need to decide for themselves whether her argument is convincing. Dawisha does not approach her book with an open and balanced perspective on the subject matter. If Dawisha were Russian, she would certainly be firmly ensconced in the opposition movement. One learns about Putin as Russian oppositionists would want the world to know about him. Dawisha paints a picture in Putin’s Kleptocracy of Putin and his circle living in opulence, as average citizens live in a Russia where houses and apartments are shabby, streets look like an amusement park the morning after the night before. The reader can visualize Putin and his circle cleaning out Russia’s coffers, while closing the public space and denying citizens the rights of free press, assembly, and speech. Since the fall of the Soviet Union, the authentic face of the Russian government has been Russian President Vladimir Putin. Putin restored order in Russia after the internal chaos of the 1990s, reestablishing the power of the state. His style of management was undoubtedly shaped by his initial career as an officer from 1975 to 1991 in the Soviet Union’s Komitet Gosudarstvennoy Bezopasnosti (the Committee for State Security) known better as the KGB—the agency responsible for intelligence, counterintelligence, and internal security. He reached the rank of lieutenant colonel before retiring. However, his style was not shaped in terms of his use of KGB tradecraft. (Tradecraft refers generally to skills used in clandestine service to include efforts to manipulate opponents.) It was shaped as a result of his continued close association with a small group of men who served alongside him during his KGB career, particularly a few who served in the German Democratic Republic (East Germany) with him. These men are known as siloviki (power men). Finding siloviki, particularly retirees of the KGB, and the present day security service, Federal’naya sluzhba bezopasnosti Rossiyskoy Federatsi (Federal Security Service) or FSB, in high places in Russia is not unusual. At the pinnacle are men among them who came from Putin’s hometown of St. Petersburg. These men come from a community of families whose “roots” go back to the beginnings of the Communist Party and its first political police known as the Cheka. Putin’s Cheka heritage includes both a father and grandfather who served in the security service. He was raised in the Chekisty (Chekist) community, attending schools and a university Chekists’ progeny typically attended. It was in the period after the collapse of the Soviet Union that the Chekists were asked to take control of the currency the Communist Party had accumulated. There were Central Committee decrees ordering such activity. Dawisha cites an August 23, 1990 decree which authorized: “urgent measures on the organization of commercial and foreign economic activities of the party” and laying out the need for an autonomous channel into the Party cash box . . . the final objective is to build a structure of invisible party economics . . . a very narrow circle of people have been allowed access to this structure . . . .” Dawisha makes the connection between this period when KGB officers heard the clarion call of the Communist Party to loot state coffers and Putin’s start in politics at the local level in his hometown of St. Petersburg. As head of the St. Petersburg Committee for Foreign Liaison, a job he received through KGB patronage, Putin began working with a tight knit circle of Chekists. Grabbing money became their métier, and they worked hard at it. In St. Petersburg, Putin obeyed his patrons and proved himself to be reliable. He also gained a solid understanding of the linkages between organized crime, which is of a special breed in Russia, bureaucrats, and former KGB officials. (While in St. Petersburg, he befriended an attorney named Dimitry Medvedev.) Putin rose to deputy-mayor, but his work in St. Petersburg was halted after six years when his boss lost his bid for reelection. In the course of less than two years though, Putin rose from being an out-of-work deputy mayor to head of the FSB. A year later, Putin was the prime minister. Six months after that, he was Russian Federation President. Much was said about reestablishing Russia as a Great Power and passing and upholding new laws for the Russian people when Putin became Russian Federation President in 2000. However, Dawisha is convinced that from the beginning, the goal of Putin and his circle of former KGB colleagues was to create an authoritarian regime ruled by a close-knit cabal with embedded plans, interests, and capabilities. To deal with the perspectives of Russian people, Putin engaged in what Dawisha calls a charm offensive. She points to the success he had using “gimmicks” such as the election of Dimitry Medvedev as Russian President. Putin presents himself as Russia’s “strong man.” having the ability to take on the country’s burdens and dominate situations. The state’s near control over the entire media space facilitates getting out that narrative. Dawisha suggests that from the moment Putin took power in 2000, Russia ceased to be a place where democratic dreamers could flourish, and provides a record that shows Putin governed with little regard for human and political rights. Dawisha claims there has been targeted repression, with nonviolent demonstrators being sentenced to either prison or indefinite psychiatric treatment. Despite the best efforts of Putin’s political opponents, journalists, and activists and NGOs, to the average Russian, oppositionists represent chaos, disorder, not reform or progress. Perhaps it is easy for the slothful human nature to take what is easy, comfortable, assuring, and logical. To deal with the perspectives of Russian people as all this has been happening, Putin from the beginning engaged in what Dawisha calls a charm offensive. Dawisha leaves no doubt that she feels those willing to believe that Putin could provide a road to democracy in Russia had really been left in the cradle intellectually. She points to the success he had using “gimmicks” such as the election of Dimitry Medvedev as Russian President. She proffers that was a “public relations maneuver” to create the illusion that Russia remained a burgeoning democracy despite all the behavior of Putin and his circle indicated the contrary. So comfortable was US President Barack Obama with Medvedev that he went as far as to declare a new era between the two former Cold War adversaries existed. (Some of Putin’s smaller gimmicks such as using the Ketchum public relations firm, which the Russian government already allegedly had an estimated $1.935 contract, to place an Op-Ed in the New York Times to impact US public opinion on Syria, Russia, and Obama, failed miserably.) Putin depicts himself as Russia’s “strong man,” having the ability to take on Russia’s burdens and dominate situations on behalf of the Russian people. The state’s near control over the entire media space facilitates getting that narrative out. Yet, Dawisha certainly recognizes that Putin has been bolstered not only by illusions but by the internal logic of the system which has strengthened Putin’s power over those who contest him politically. Manual control trumps institutions; instructions and understandings are greater than law; and, money is above everything. This system has satisfied the wealthy, the business community (energy sector), the military, and the other security services. When Putin faces international condemnation for actions overseas, the impression is created that he is sacrificing himself for Russia. Although Dawisha focuses more directly on Putin’s rise financially, from her discussion, a picture emerges of Putin as an individual with significant capabilities. Great guile is displayed in his maneuvers to attain political power and a vast fortune. 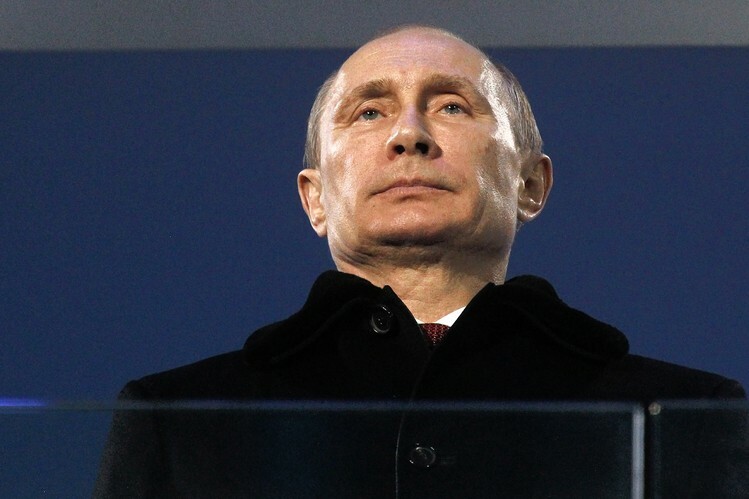 When moral good is not part of the calculus, Putin’s accomplishments appear very impressive. Throughout the remainder of Putin’s Kleptocracy, further evidence is provided by Dawisha on bribe taking from Russian and foreign companies seeking business deals and permits; rigged privatization deals designed to enrich associates who would later serve as money sources for Putin and his circle; stories of payoffs from inflated no-bid contracts for state projects; illicit exports of raw materials purchased at state-subsidized prices and sold for far lower prices; money laundering; election fixing; the intimidation, and alleged elimination of potential whistle-blowers and a lot more. Dawisha puts faces on those who allegedly engaged in such illicit activities, along with naming firms involved, and the amounts pilfered. There absolutely more than enough to satisfy those interested in news about Putin’s Russia. There is also much to that can be learned from Putin’s Kleptocracy given what it provides on Putin and current political environment in Russia, and the economic, political, and social histories of Russia and the Soviet Union. Dawisha’s book is a real page turner, and one that will be difficult to pull away from. Its countless stories of illicit activities are incredibly intriguing. Putin’s Russia has been the subject of many greatcharlie.com posts. It is a pleasure to be able to introduce many our readers to a truly well-written, well-researched book on the subject. Without hesitation, greatcharlie.com highly recommends Putin’s Kleptocracy to its readers. They are guaranteed to read it more than once. For some practicioners, Putin’s Kleptocracy may even serve as a reference. It is a book greatcharlie.com readers, regardless of their degree of interest in the subject, will greatly appreciate acquiring.